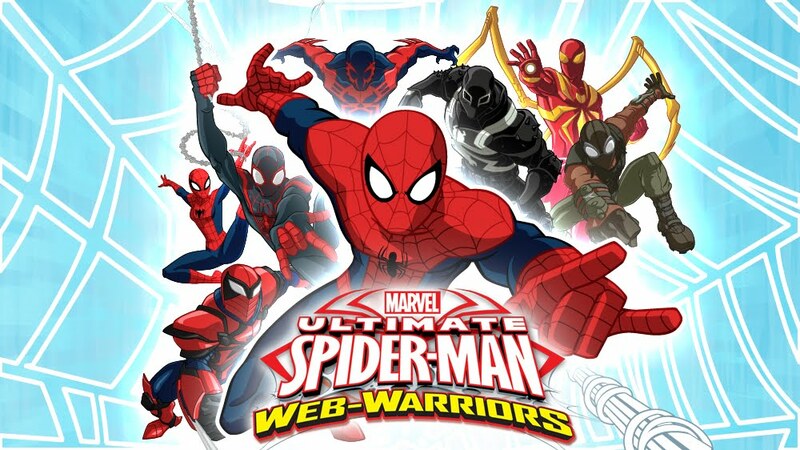 For several months last year, I did weekly interviews with some of the people who make the Disney X D Ultimate Spider-Man cartoon. It was a really fun experience that resulted in some fantastic interviews over on CBR. Thanks to some scheduling shifts, I’m not doing those at this point, but I still have a soft spot in my heart for this cartoon that started bringing all kinds of alternate universe Spideys into the mix. 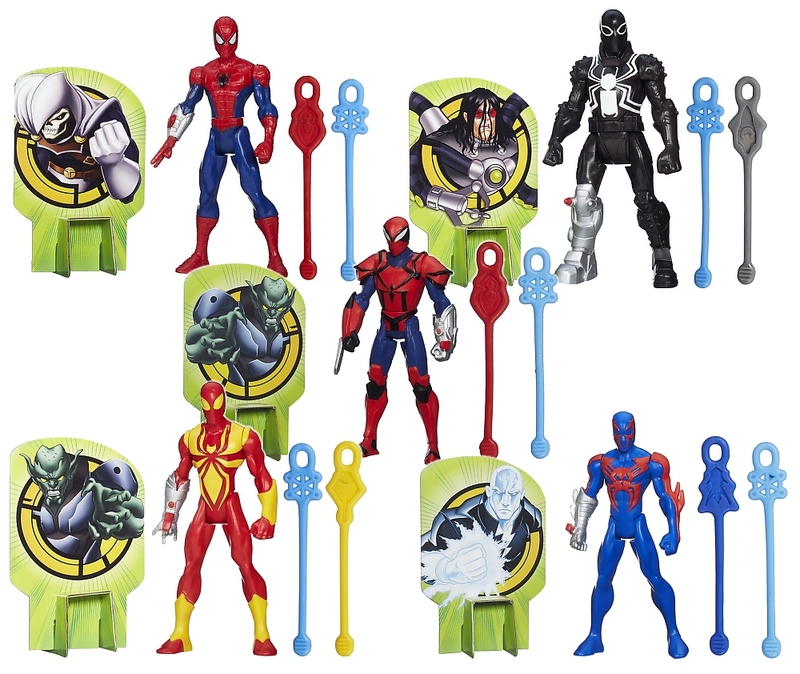 Of course, this makes for a great deal of fun toy opportunities that license-holder Hasbro has started fully taking advantage of with their Web-Slingers line. A month or two back, I received a box of toys for review from Hasbro that included the basic Spider-Man figure , Agent Venom Figure with ATV vehicle , Iron Spider Blaster glove and the Trickshot Showdown playset . The overarching action feature for this line is a series of stretchy rubber webs that hook onto parts of the toys and launch into various targets. Even though my nearly-four-year-old tried to get me to open them up for weeks, we didn’t get to it until last week. I figured it would be fun to record the whole thing with my Flip camera and post the results which you can see here. I would have cut the nearly 10 minute video down, but every time I looked to edit, the kid started doing something cute. Since recording the video, I’ve placed all these toys back in the box they came in (you can see it in the video) and Lu has taken them out to play with about once a day. It’s funny, she kept asking me what every little part was for — the sticker that looks like steps on the playset, the rubber webs, the shooters, the targets, the crane — but after I told her they’re just they’re to play with, she hasn’t been as caught up on those things. As a long-time action figure collector and fan, I do have a few comments. First off, these toys look like they fell right off the TV screen which is crucial when dealing with toon-based toys. The figures themselves are a little stiff, but that goes away the more you play with them. The only one that wasn’t is the Venom ATV toy which, contrary to what I said in the video, doesn’t have much in the way of articulation. The knees are permanently bent, which I didn’t notice at the time. I know more joints equal more cost, but I personally love my Spidey figures to be as flexible as possible. Lu doesn’t seem to care about any of that, but it’s something I noticed. I also love how the ATV rolls around on our carpet and the playset is super fun. Even without shooting the webs, this fairly simple set offers plenty of play potential whether your kid is like mine and just likes to have a setting for her figures to run around on or if you’re like me and want to bash through some doors and swing around. It actually reminds me of the classic Karate Kid dojo set that I loved as a kid. I don’t know if I’m just inept or what, but the stretchy web things just do not work for me. I saw the man do them with ease at Toy Fair and figured I could do it myself, but that has not been the case. The kid’s gotten it a few times, but no luck on my end. On another level, I wish this line had some female toys for my daughter to play with. This might be part of that age-old idea that female action figures don’t sell or might go back to the TV series (not sure if any female Spideys are on there), but it’s a bummer. I passed my daughter a box of JLU toys I’ve had for years and she immediately pulled out all the ladies and started playing with them, so clearly there’s interest there. Even though I had some problems with these figures, I think that overall they are rad playthings for younger kids. They seem sturdy enough to withstand the kind of strenuous playing that younger kids can and should put their toys through. I’m seriously thinking about tying a string to them, sticking one end up high and just swinging them around!